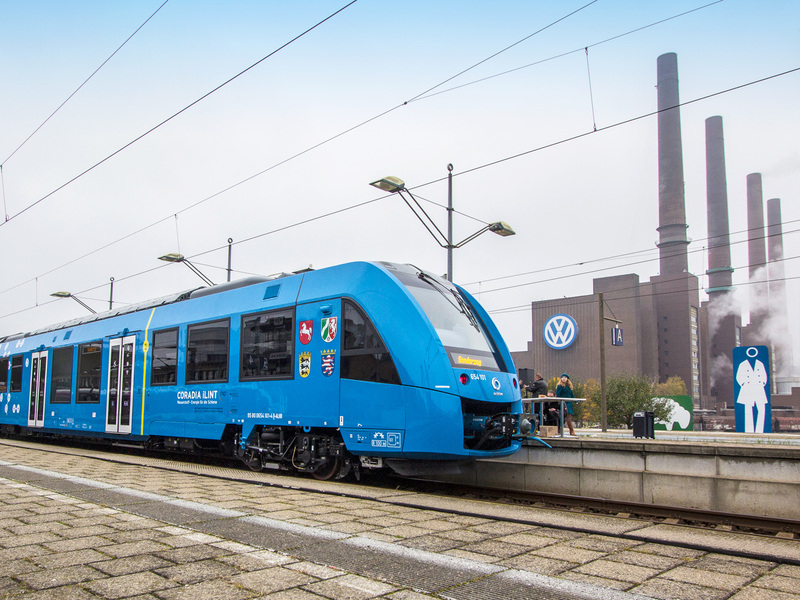 All parties involved in the contract signing in Wolfsburg on Thursday agreed: The train of the future will be driven with hydrogen, will run completely emission-free and will start its first passenger service in Lower Saxony. It is called “Coradia iLint“ and is built by rail manufacturer Alstom for the Local Transport Authority of Lower Saxony (Landesnahverkehrsgesellschaft Niedersachsen, LNVG). 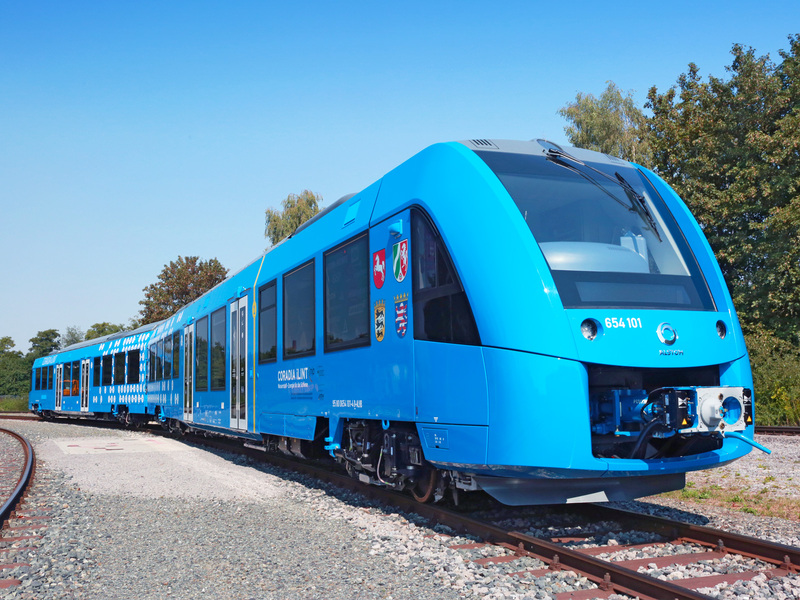 A total of 14 fuel cell trains will be built at the Salzgitter site and are scheduled to convey travellers between Cuxhaven, Bremerhaven, Bremervörde and Buxtehude from December 2021. 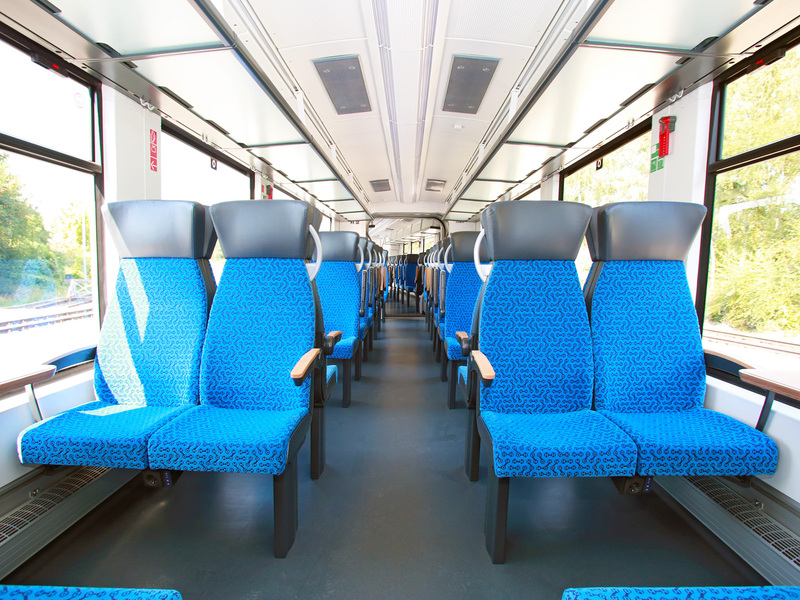 They will replace the diesel multiple units of the transport authority Elbe-Weser- Verkehrsbetriebe (evb) and will reduce the pollutant emission in daily service to zero. The supply of the train with hydrogen will be ensured by an own filling station of The Linde Group. The Coradia iLint can cover up to 1,000 kilometres with one tank fill, and can reach a maximum speed of up to 140 km/h. On Thursday, in the presence of the press, the managements of LNVG, Alstom and Linde signed the contracts on the delivery of the 14 fuel cell trains and their 30-year maintenance and energy supply in Wolfsburg. Olaf Lies, Economy and Transport Minister of Lower Saxony, had invited his ministerial colleagues to this contract signing on the occasion of the transport minister conference so that they could get their own impression of the Coradia iLint prototype, which will take up pilot operation in the evb network in spring 2018 together with a second vehicle. In Wolfsburg, Transport Minister Lies handed over the official notice of funding to the two LNVG chiefs Hans- Joachim Menn and Klaus Hoffmeister. 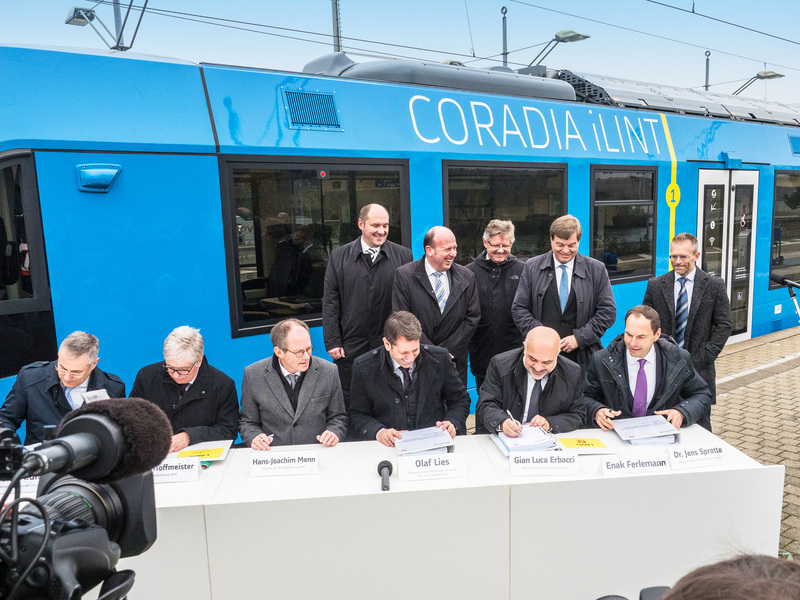 LNVG will purchase the Coradia iLint trains for its own vehicle pool and will then rent them to a railway operator. The fuel cell trains are going to be maintained by Alstom in the evb depot in Bremervörde, which will be extended for this purpose. The guarantee of a reliable and secure supply of energy is one of the prerequisites for a successful use of fuel cell trains. The Linde Group, a world-leading gases and engineering company, will provide for the hydrogen supply of the new fuel cell trains and will therefore erect and operate the worldwide first hydrogen filling station for trains in Bremervörde. The necessary investment costs will be estimated at around 10 million euros funded by the Federal Government. LNVG will rent the premises for the filling station from evb and will make it available to Linde AG, which will also be responsible for the operation and construction permit. The on-site production of hydrogen by electrolysis and by means of wind energy will be planned in a later phase of the project.